You may think your garbage disposal is a destroyer of all things. That it can disintegrate everything you throw at it with ease, keeping the inner-workings of your sink clean and clear of leftover food and debris. That mighty metal chopper in your sink may seem like the most powerful thing in your kitchen and you may enjoy the sound of your week-old spaghetti being completely obliterated by it, but your garbage disposal is not as high and mighty as you may think. In fact, there are many things that you should never put down your sink to have your garbage disposal dispose of for you. Your disposal is a lot more sensitive than you may think, it cannot take anything you throw at it, this includes many food items. While having a garbage disposal can be a lifesaver at times, it should not be your go-to for getting rid of food. Your trash can will handle many items a lot better. We don’t expect you to know the list of items that can and cannot go down your sink. But we know that this information is important if you want to keep your drain in good condition and your plumbing in tack. That is why our team at Cupertino Plumbing is going to give you a list of the top items that should never find their way to your garbage disposal. If you ever do find yourself with an issue because something went down the drain that shouldn’t have, feel free to contact us! We can help you with any and all of your plumbing issues and get your drains unclogged and your garbage disposal working properly again. Read on and try as hard as you can to avoid sticking these items down your drain. One of the most important items on this list is cooking oil and grease. If you have ever cooked bacon, you know that a lot of grease is produced, draining this grease can be simple if you just pour it down the drain, right? Wrong! That was not a trick question, we just told you never to do this! Grease and oil can lead to clogged drains. Grease will congeal and block the drain over time, leading to backups. 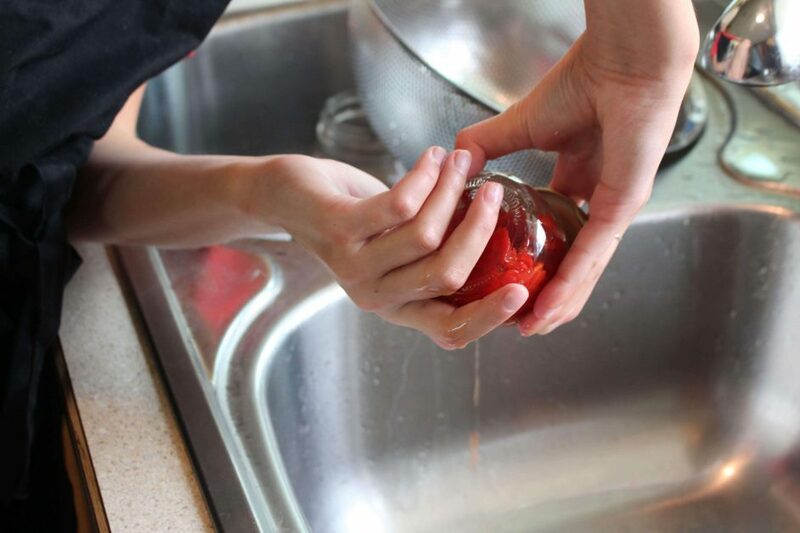 If you do accidentally pour oil or grease down the drain, you can try to fix the problem by yourself by pouring a mixture of boiling water, vinegar, and baking soda down the drain. Oh, also remember the butter and margarine fall into this category as well. You may have heard that eggshells are actually good for your garbage disposal and can, in fact, sharpen the blades! Unfortunately, that is not at all true. The shell can actually be too hard on the blades of your disposal and the membranes can cause damage to the grinding system. Don’t try sharpening your blades with eggshells, instead throw them in the trash or compost bin. 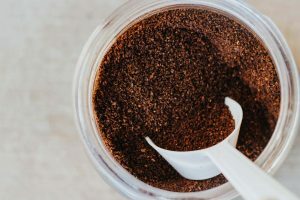 While coffee grounds seem as though they would not cause too much harm to your drain, they can easily create clogs and buildup in your pipes. They may be small but they can make a big mess! If you want to avoid a nasty, clogged drain, don’t throw your coffee ground in the sink. This substance is another great choice for your compost bin. Or if you are feeling crafty, a Mashed article mentions that they are great to use as a dyeing agent for many different crafts! These two food types are delicious and can make great meals, but they are not great when dumped down your drain. Both pasta and rice will continue to expand in your drain as they come in contact with more water. This will cause your drains to become clogged and backed up. Avoid putting your pasta leftovers or scrapping the rest of the rice into the drain, it will only cause more problems. While flour may seem like a simple powdery substance, it is not so innocent when mixed with water. One thing you may not be aware of is the fact that flour and water make a paste. Paste in your drain and garbage disposal is obviously a bad thing that will turn into a problem quickly! Your drain will be clogged and the disposal will likely get stuck. Avoid putting any flour down your drain. If you have to clean some up, stick it in the trash! Bones from your favorite carnivorous meal should never go down the drain. Bones from beef, pork, chicken, and other meats can cause damage to your garbage disposal and will not get broken up properly. While small fish bones will likely not cause the same damage and can be perfectly safe for your drain and disposal, we recommend trying not to get any type of bone down the drain. This will help you avoid any problems. While fiber is great for us, the same cannot be said for your drain. 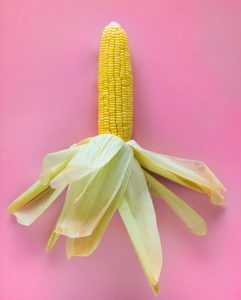 Foods that are full of fiber, such as celery, asparagus, and corn husks can cause damage to your disposal. The fibrous material will get stuck in the blades of the disposal and may clog your sink. When you are preparing your meats, don’t throw any scraps or trimmings down the drain. The fat from the meants will create buildup and clog your drains. This can create a huge problem and should be avoided. If you are trying to get rid of unwanted medication, send them in through a drug take-back program rather than throwing them down the drain (or even flushing them down the toilet). While medications will not clog your drain, they are very toxic and will contaminate the water. When you throw medication down the drain or in the toilet you will likely cause poisoning to the environment. It could cause contamination to our water supply, lakes, and even hurt creatures living in the water. You don’t want to hurt animals, do you? If you don’t want your medication, use a drug take-back program. If you have ever been peeling potatoes over the sink, you may have simply pushed them into the disposal and turned it on. But don’t do this again! The starch in potato skins will cause them all to clump together and cause your drain to clog. These are some of the main items you should never throw down your drain. Others include seeds, pits, kernels, pieces of your Halloween jack-o-lantern, fruit skins, and produce stickers. Your mighty disposal will not be able to protect your pipes from most of these items and may get damaged trying. Save yourself the headache of getting your pipes unclogged and your garbage disposal repaired and keep all of these items out of your drain! Hopefully, you never make the mistake of tossing these down your drain again, but if you do, and a problem arises, Cupertino Plumbing will be there to help! We will be able to unclog your pipes and help you get your kitchen back in working condition. Contact us to get your questions answered and schedule an estimate today! We look forward to helping you with any and all of your plumbing needs.